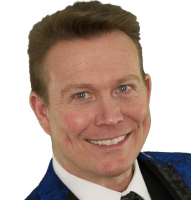 Allan Nackan is an engaging and exceptional performer who has been actively involved in magic for more than 25 years. 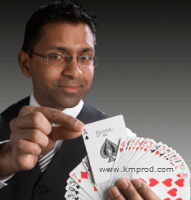 Based in Toronto, he is in very high demand, entertaining corporate clients with his amazing and unqiue sleight-of-hand illusions. 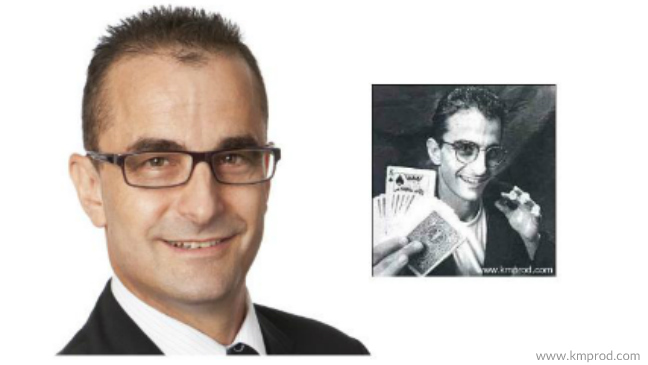 Allan specializes in close-up, walk-around (strolling) magic as this intimate medium allows him to interact on a more personal basis with his audience and provide them with a truly memorable, first hand experience of the magic. He mystifies with a deck of cards, causes solid to melt through solid, increases money tenfold, makes objects vanish from your own hands, predicts the future or even reveals your deepest thoughts. 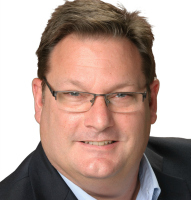 For more information and booking Allan Nackan, simply contact us. Allan has the unique ability to work closely with his audience. This closeness enhances the illusions as proximity fails to provide any insight on how he deceives our minds and eyes. He is an entertainer of the highest professional standards, a skilled artist, and an asset to anyone seeking to entertain, bemuse, intrigue or delight an audience. You were superb and just the right touch. I was most impressed with your ability to read the crowd and the general flow of the evening. What a thrill for all of us. You mesmerized and baffled all of us with personalized magic that was awesome! I look forward to engaging your services for other special events we are involved with.